Last major update issued on September 29, 2004 at 03:30 UTC. 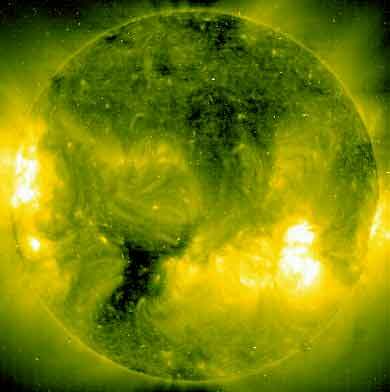 The geomagnetic field was quiet to unsettled on September 28. Solar wind speed ranged between 351 and 398 km/sec under the influence of a low speed flow from coronal hole CH115. Solar flux measured at 20h UTC on 2.8 GHz was 89.9. The planetary A index was 8 (STAR Ap - based on the mean of three hour interval ap indices: 9.1). Three hour interval K indices: 22321123 (planetary), 22333332 (Boulder). Region 10675 was quiet and stable. New region 10676 rotated into view at the southeast limb. 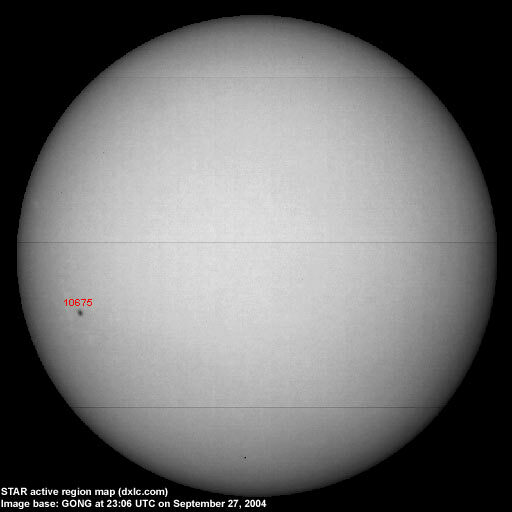 September 26-28: No obviously earth directed CMEs observed (no LASCO images). 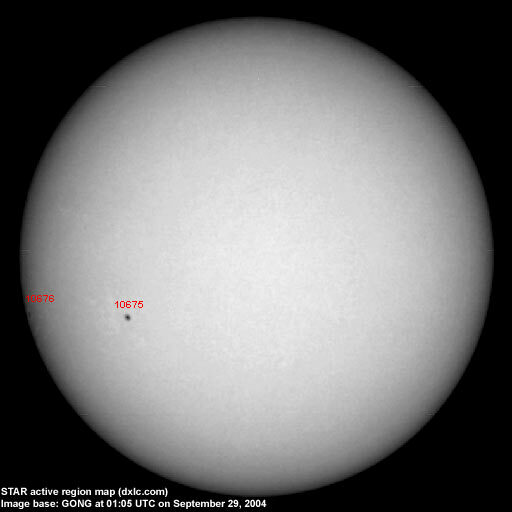 The geomagnetic field is expected to be mostly quiet on September 29 - October 1. Long distance low and medium frequency (below 2 MHz) propagation along east-west paths over high and upper middle latitudes is fair to occasionally good. Propagation along long distance north-south paths is very poor. Trans Atlantic propagation conditions are monitored every night on 1470 kHz. Dominant stations tonight: Radio Vibración (Venezuela) and WLAM Lewiston ME. On other frequencies mostly stations from the easternmost parts of the USA and Canada were noted. WINS on 1010 and CJYQ on 930 kHz both had strong signals and Greenland on 650 kHz was quite strong too. Unless further geomagnetic disturbances arrive the remainder of the week could become quite interesting. Local sunrise propagation on September 28 was fair to good towards eastern North America with stations noted on many frequencies. While there were almost no stations from that area audible between 03 and 04 UTC, propagation recovered quickly just before and at local sunrise.